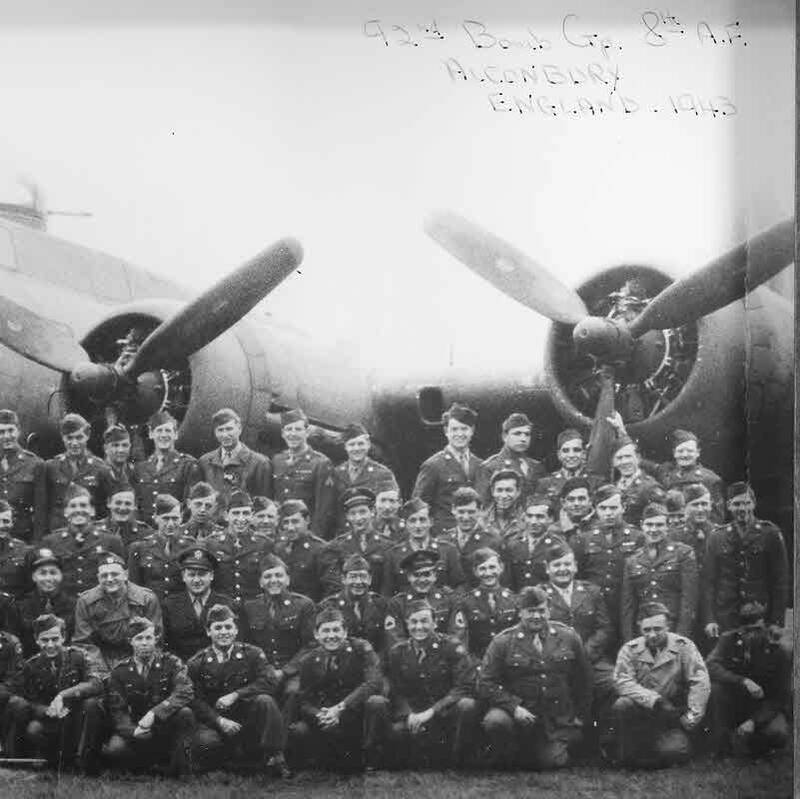 Here we see part of the 92nd Bombardment Group during their time at Alconbury in 1943, posing in front of a late production B-17F with nose turret. Many thanks to Jim Sharp for sending is this picture. His father Jay L. Sharp is the third men from the right on the second row (with the formal cap and his shoulder patches with new stripes pointed at the camera.